HERE ARE THREE COSTA RICA FISHING PACKAGES that we have designed to give an idea of what FishCostaRica offers anglers who are looking for complete sportfishing vacations. None of these packages or prices are written in stone. They are simply a guide. We tailor every package to anglers’ preferences, boat size, hotel (modest or upscale), and number of days fishing, among other things. You can add days, subtract days, add tours… whatever you want. Final package costs per person might be less than what you will see below. 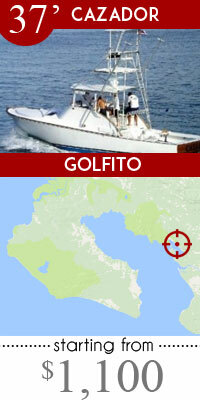 FishCosta Rica promises to ensure that the trip we design for you makes the perfect sportfishing adventure. Fish the Pacific. 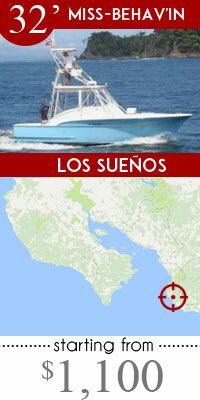 Seven days, six nights, three full days fishing out of either Los Sueños, Quepos, Flamingo, Tamarindo, Puerto Jiménez or Golfito. 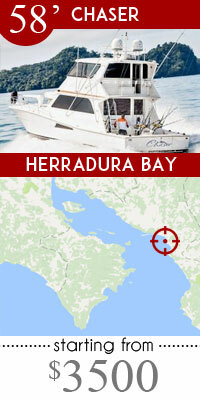 From $1,699.00 per person (based on four anglers, double occupancy). Day 1 – Arrive San José. Minivan transfer from international airport to downtown hotel. Overnight in San José. Day 2 – Transfer by minivan to airport for domestic fight to fishing destination, or minivan transfer direct to beach hotel. Relax the rest of the day. Day 3 – Leave dock at 7:15 AM, full day fishing for marlin (blue, black and striped), sailfish, yellowfin tuna and dorado. Day 4 – Same as Day 3. Day 5 – Perhaps full day inshore for snapper, roosterfish, grouper, amberjack, wahoo, etc. Day 6 – Transfer to airport for flight, or minivan transfer, to San José. Minivan transfer to downtown hotel. Day 7 – Departure day. Minivan transfer from hotel to get you to international airport two and a half hours before flight home. This package can be modified and shortened. Depending on your arrival time, preferences and local flights, you could travel directly to your sportfishing destination on Day 1, eliminating the first night in San José. The same applies to your return. 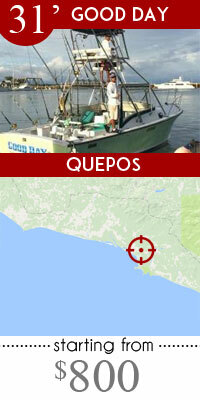 You might travel directly from your sportfishing destination to the international airport, and not overnight in San José. The cost of the package will change accordingly. NOTE: Does NOT include fishing licenses; tips to captain, guides and mates; or transportation (unless otherwise specified) to or from the dock. Fish the Caribbean for Tarpon, Snook and Guapote (Rainbow Bass): six days, five nights, three full days fishing on Costa Rica’s Caribbean coast, with all-inclusive accommodation in Tortuguero. 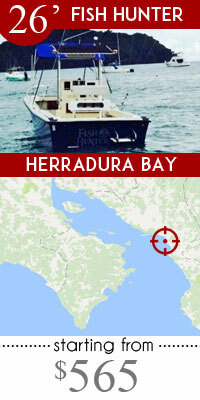 From $2,299 per person (based on four anglers, double occupancy). Day 1 – Arrive San José. Minivan transfer from international airport to a downtown hotel. Day 2 – Minivan transfer at 4:30 AM to domestic airport for 5:45 AM flight to Tortuguero. Guide will meet you at airstrip and boat you to lodge. Quick check-in, breakfast and you’re fishing by 8:00 AM with Captain Eddie Brown, Costa Rica’s top tarpon fisherman/guide, with Eddie Brown’s brother Roberto, or another top captain. Full day for tarpon, snook, rainbow bass, machaca, mojarra, etc. All-inclusive accommodation at a superior lodge includes meals and juices. Does NOT include soft drinks, bottled water, beer, liquor or wine. Day 3 – Early breakfast and full day fishing by 7:30 AM. All-inclusive accommodation. Day 4 – Early breakfast and full day fishing by 7:30 AM. All-inclusive accommodation. 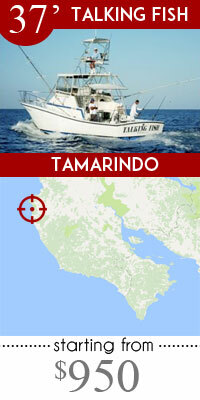 Day 5 – Boat to airstrip for 6:40 AM flight to San José, with a transfer to San José hotel. Relax the rest of the day. Day 6 – Departure day. Minivan transfer from hotel to get you to international airport two and a half hours before flight home. This package can be modified and shortened. Depending on your departure time and the local flight, you could travel directly from Tortuguero to the international airport, and not overnight in San José. The cost of the package will change accordingly. Or if you are four or more, you might want to arrange charter flights. Fish the Pacific and the Caribbean: eight days, seven nights, two full days fishing on both coasts of Costa Rica with Costa Rica’s top captains. 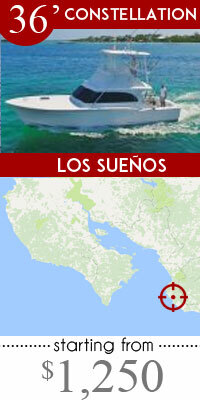 From $2,699 per person (based on four anglers, double occupancy). 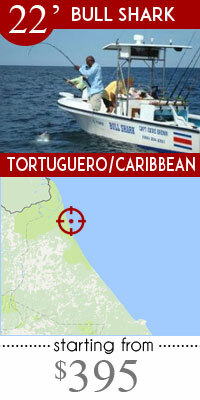 Day 2 – Minivan transfer at 5:00 AM to domestic airport for 5:45 AM flight to Tortuguero. Guide will meet you at airstrip and boat you to lodge. Quick check-in, breakfast and you’re fishing by 8:00 AM with Captain Eddie Brown, Costa Rica’s top tarpon fisherman/guide, with Eddie Brown’s brother Roberto, or another top captain. Full day for tarpon, snook, rainbow bass, machaca, mojarra, etc. All-inclusive accommodation at a superior lodge includes meals and juices. Does NOT include soft drinks, bottled water, beer, liquor or wine. Day 4 – Boat to airstrip for 6:40 AM flight to San José, with a connecting flight or minivan transfer to Pacific fishing destination hotel. Relax the rest of the day. Day 5 – Leave dock at 7:15 AM, full day fishing for marlin (blue, black and striped), sailfish, yellowfin tuna and dorado. 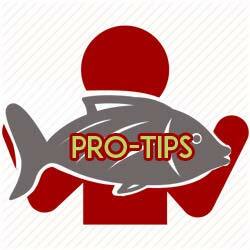 Day 6 – Same as Day 5, or perhaps full day inshore for snapper, roosterfish, grouper, amberjack, wahoo, etc. Day 7 – Transfer to airport for flight, or minivan transfer, to San José. Minivan transfer to downtown hotel. Day 8 – Departure day. Minivan transfer from hotel to get you to international airport two and a half hours before flight home. This package can be modified and shortened. Depending on your departure time, preferences and local flights, you could travel directly from your Pacific sportfishing destination to the international airport, and not overnight in San José. The cost of the package will change accordingly.